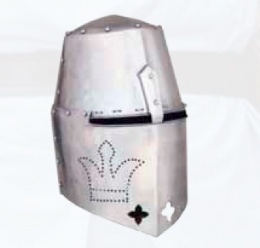 The 14th Century Over Bearer Great Helm is a decorated helmet worn by medieval knights. Helmet is wearable. 18 gauge. This page was last modified on 18 May 2014, at 20:59.